Nearly 6 months back,I had published 2nd part of the blog series, I started to share what I learnt while creating a project type. However, I couldn’t continue as I got busy with my internship commitments and engineering studies. I thought I would see many blogs after that from community side. I got few nods as well, but I am disappointed with them as they didn’t deliver. Geertjan made use of NetBeans 6.7 daily builds for creating the prototype explained above. So, why not get started with these blogs? I will soon continue with my exploration stopped long time back and will continue to post my learning in the coming months. Also, I have written a post in discussion forums to begin creating a project type. Get to know more about my NetBeans plugins at Kenai and I also shared some tips and Tricks based on NetBeans Platform. Come on, get started and share what you explore. Stay tuned for more.. This post will focus on work flow of my plug in Revamped Hyperlink Navigation (RHN). 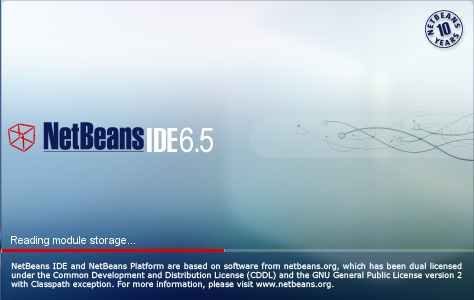 Without much ado, lets get started..
Firstly, you need to access the existing sources available for plug in, published in Update Center for NetBeans 6.0 and then, I will use NetBeans 6.5 as the development software for demonstration. So, run NetBeans IDE (bundled with either Java SE, Java or All technologies). Open Versioning | SVN menu and select Checkout… from sub-menu. Checkout Wizard opens.. Now, enter Repository URL as https://kenai.com/svn/nbrcp-kolektiv~incubator/nbplugins/tags/release60_versions and click “Next >“. You might be prompted by the NetBeans to accept certificate, click on Accept Temporarily and continue.. Now, click on the Browse button to select the Repository Folder needed to be checkout. Select /rhn_v11/ahrefhyperlink.revamped and specify your Local Folder. Also, select the checkbox with label as Scan for NetBeans Projects after checkout and click Finish. NetBeans will prompt you to open project AhrefHyperlink (Revamped). Click Open Project and NetBeans will open the project for you. Now, right-click the project node and select Properties. 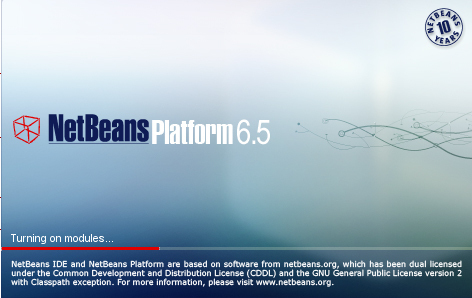 Now, goto Libraries and you will notice that NetBeans Platform selected for project is the default build provided by the NetBeans 6.5 IDE, and similarly for Java Platform. 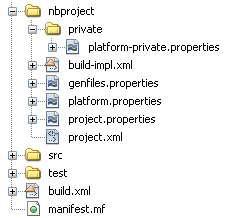 So, you need to configure the project to be built against NetBeans 6.0. Therefore, refer this tips and Tricks to learn how to “Manage Platforms…“. Also, choose JDK 1.5 for Java Platform (JDK 1.6 should also work fine). Once you are done with it, click OK to save project properties. Now, Clean and Build the project and Run to see this module in action. 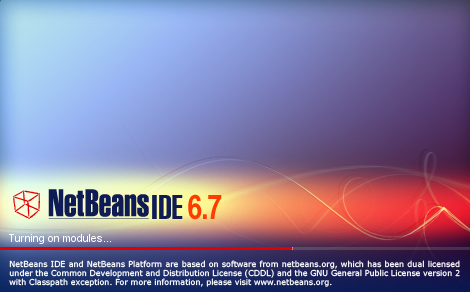 If success, the NetBeans 6.0 splash screen pops up and soon, NetBeans 6.0 instance is running with the plug in, installed. Try out the cases specified in the tutorial and then, try out some new one’s from your side. Observe where it works and where it doesn’t. If you find any issues/bugs, kindly file it using JIRA Issue Tracker used for this project and select component nbm-hyperlink. Soon, I will write wikis so as to help you understand how to file issues for this project. Fixed sources are stored under /nbplugins/branches as /release60_fixes/ahrefhyperlink.revamped (Links updated). Unstable code is placed under /nbplugins/trunk and you may see what new developments take place there.